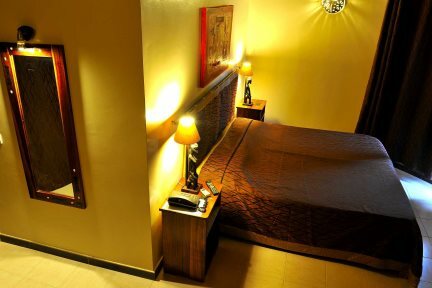 This attractive, friendly hotel is fantastic for both families and couples looking for well-priced accommodation with a good range of facilities, tropical gardens and a beachfront location, all within easy reach of the resort centre. 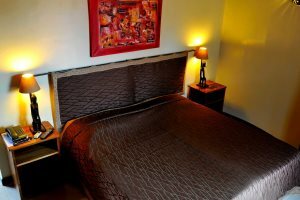 "The location close to Saly is great, yet there is a real feeling of tranquillity and space when you step into the hotel itself - bliss!" The tropical gardens filled with bougainvillea and coconut palms. Prices are based on half board, but you can choose to upgrade to an all-inclusive meal plan if you wish. The unique spiral shaped pool is definitely a focal point of the hotel – shaded sun beds surround it and the pool bar serves drinks and snacks all day to keep guests refreshed. Out of the sun, the lounge which is adjacent to the pool area, offers books, board games and satellite television and you’ll also find an Internet area and gift shop selling souvenirs and displaying artwork from local Senegalese artists. 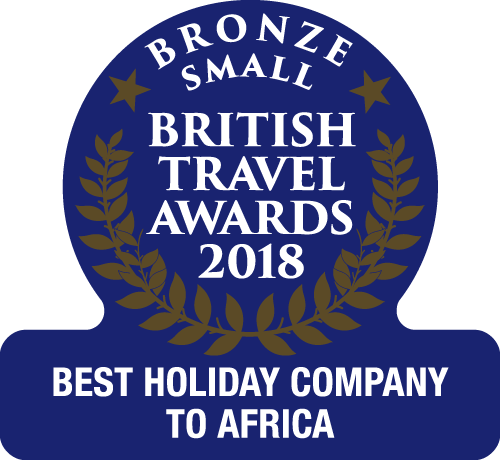 For dining, the hotel restaurant spills out onto the pool terrace, offering a variety of local Senegalese and European dishes, served buffet style with themed evenings and live entertainment; an à la carte menu also available. 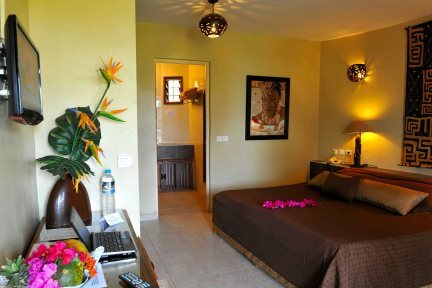 Rooms are all air-conditioned, and located in round bungalows dotted around the hotel grounds with a terrace overlooking either the gardens or towards the ocean. Décor and colours are traditionally African in style with raised Senegalese roofs providing a light and airy feel. Another striking feature of the Hotel Royam is the extensive lawns, bordered by colourful shrubs and bougainvillea, which lead down to the coconut tree-lined sandy beach that’s reserved for hotel guests. Here, relax on the white sands with a raised sand platform allowing you to look out over the ocean from its elevated position, or take advantage of the various water sports on offer. Unwind further at the hotel’s beauty salon situated close to the beach where, in cool and airy studios you can enjoy a therapeutic massage or one of the many beauty treatments on offer. Royam Hotel offers an all-inclusive package as an option. The following information outlines what is available through our all-inclusive package. 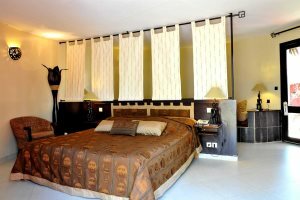 Twin-bed rooms located in round bungalows with a traditional African feel. Same as the Standard room but with a minibar. Rooms will also be in a favoured position with either a good view, a large first floor terrace or a larger room. Same as the Superior room with a flatscreen television and a direct sea view. Large, well-equipped room with a separate seating area which can be converted to 2 single beds, ideal for families.